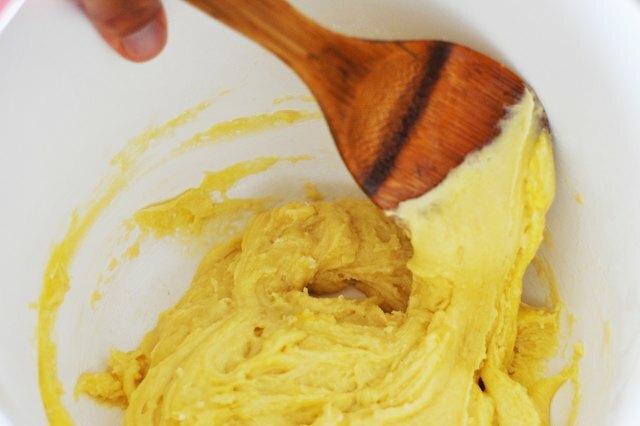 If you have the urge to make cookies, but don't have a lot of time, try baking cookies from a cake mix. Boxed cake mix contains all the dry ingredients you need to make a batch of cookies. Eggs and oil round out the rest of the necessary ingredients. 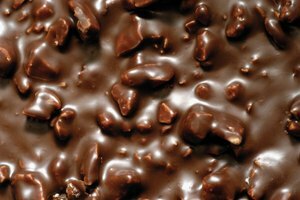 Optional ingredients include chocolate, butterscotch or peanut butter chips, nuts, coconut, raisins or oatmeal. The cake mix cookie recipe yields approximately three dozen cookies. 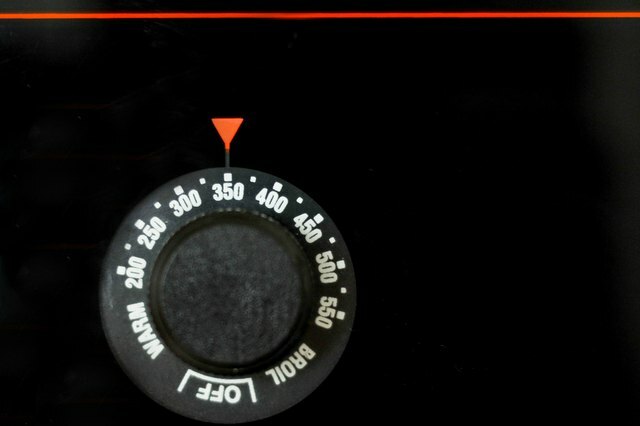 Preheat oven to 350 degrees Fahrenheit when using a light-colored metal cookie sheet or 325 degrees Fahrenheit when using a baking stone or dark-colored metal cookie sheet. 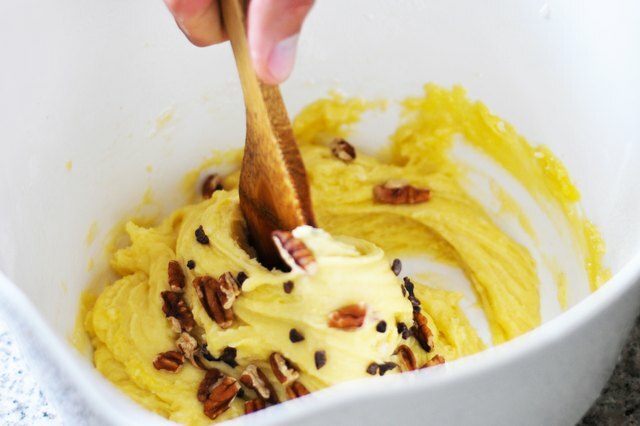 Pour cake mix, eggs and 1/3 cup of oil into a large bowl. Combine until lumps or dry spots are fully mixed into the batter. Fold in optional ingredients of your choice. Use a cookie scoop or tablespoon to scoop up approximately 2 tsp. of cookie dough. 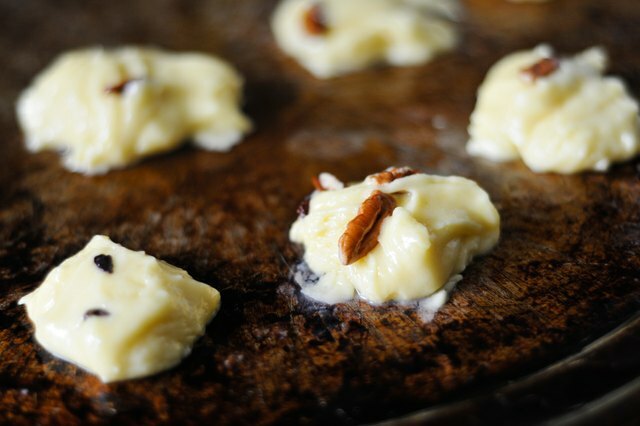 Drop dough onto an ungreased cookie sheet or baking stone. Leave 2 inches between each cookie to allow room for the cookie to spread. 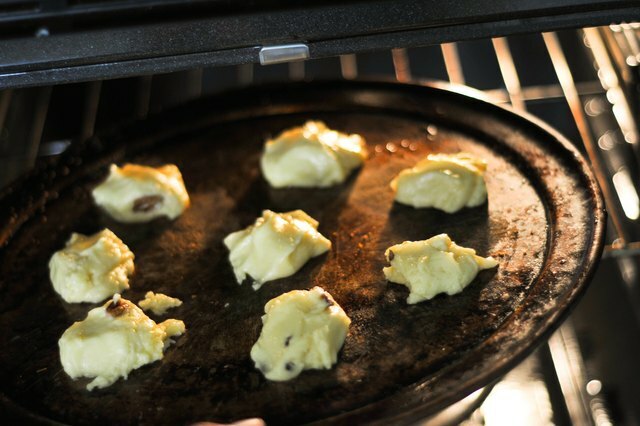 Place the cookie sheet or baking stone on the top rack in the oven and bake for 8 to 12 minutes or until cookies are golden brown. 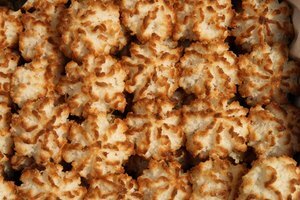 Remove cookies from oven and transfer to a cooling rack. 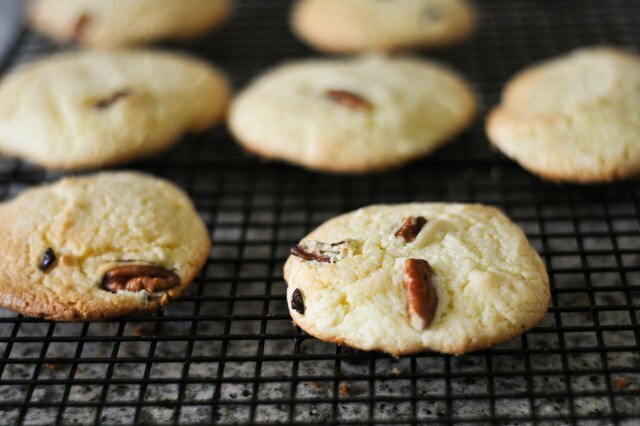 Cool cookies for one to two minutes before serving or allow cookies to cool completely before packaging. 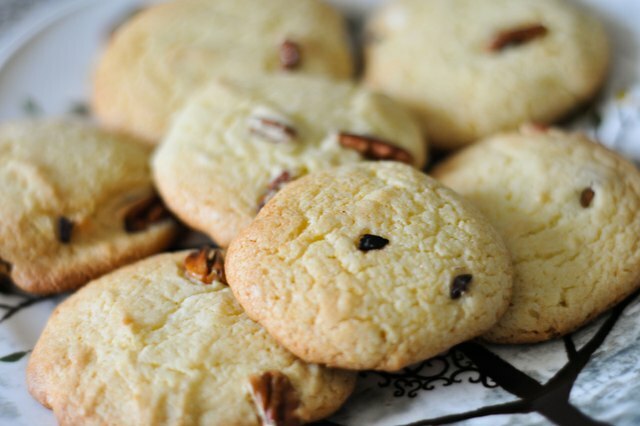 The optional ingredients are only a few of the options for cake mix cookies. Feel free to add any of your favorite cookie ingredients to the recipe. Adding oatmeal may require additional moisture. Add another egg or 1 to 2 tbsp. of oil to the recipe when using oatmeal.